SOMERSET, N.J. (AP) — A proposed tax overhaul set to come out this week from Republicans will offer help for the middle class and businesses, President Donald Trump’s Treasury secretary said. He did not offer specifics. The White House and tax-writing Republican leaders are expected to begin filling in some of the details on Trump’s bid to simplify the tax system, a legislative priority. Trump plans to promote the overhaul heavily, including during a visit to Indiana on Wednesday. People familiar with the plan that is being written entirely by Republicans have said the administration is considering lowering the corporate tax rate from its current 35 percent to somewhere in the low 20s. The plan probably would seek tax cuts across the board for individuals and reduce the number of tax brackets from seven to three. Details were not coming from White House legislative director Marc Short when pressed whether the plan would cut the individual rate for the wealthy. “There are still conversations. The president has to sign off on that, and he’ll make his announcement on Wednesday what the final number is,” Short said. 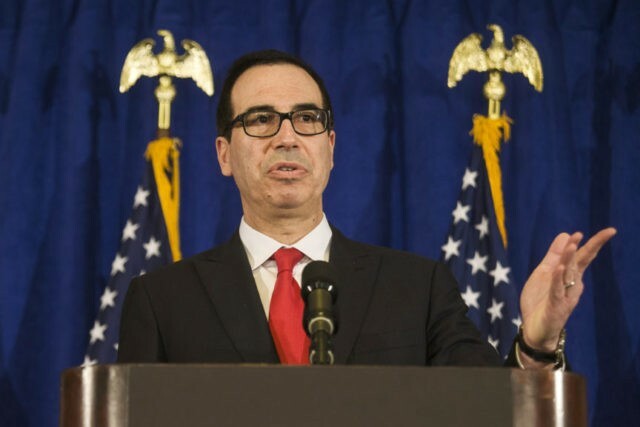 In the past, Mnuchin has said there would be no “absolute tax cut” for the wealthy. Lawmakers on the House Ways and Means Committee planned to meet Sunday and Monday to discuss taxes.